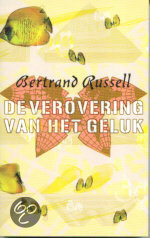 In dit monumentale boek heeft de grote schrijver en filosoof Bertrand Russell de westerse filosofie in één duizelingwekkend verband gebracht met de sociale en politieke geschiedenis. Russell is magistraal in zijn overkoepelende visie en superieure kennis van zaken. Zijn weergave van wat de grootste filosofen hebben gezegd over de belangrijke levensvragen, hun onderlinge debatten en de rol die zij speelden in de tijd en cultuur, is schitterend geschreven en voor iedereen te begrijpen. Daardoor is dit boek zowel een spannende inleiding in de wijsbegeerte als een document van eruditie en wijsheid dat in geen enkele boekenkast mag ontbreken. Op scherpe, onderhoudende wijze relativeert Russell het belang van materiële zaken en een carrière die ten koste gaat van alles, en pleit hij voor een levenswijze waarin oog is voor het geluk dat het gezinsleven kan brengen. Daarnaast is hij voorstander van een combinatie van het moederschap en een baan buitenshuis; zijn ideeën zijn verrassend actueel. Why I am not a Christian is considered one of the most blasphemous philosophical documents ever written, and at a time when we have faith schools and wars over religious beliefs, its message today couldn't be more relevant. If religion provides comfortable responses to the questions that have always beset humankind - why are we here, what is the point of being alive, how ought we to behave - then Russell snatches that comfort away, leaving us instead with other, more troublesome alternatives: responsibility, autonomy, self-awareness. If it were possible to sum up this book in a sentence, then it would be that the time to live is now, the place to live is here, and the way to be happy is to ensure others are happy. And what it all boils down to, is that disbelief is but a matter of believing. Ranked alongside Voltaire's Candide , Tom Paine's Age of Reason , Martin Scorsese's The Last Temptation of Christ , and Monty Python's The Life of Brian , Bertrand Russell's Why I am not a Christian has made some odd 1edfellows over the years. While its tone is playful and frivolous, it poses tough questions over the nature of religion and belief. "'These propositions may seem mild, yet, if accepted, they would absolutely revolutionise human life". With these words Bertrand Russell takes as his starting-point the irrationality of the world, offering by contrast something "wildly paradoxical and subversive", guiding us through the key philosophical issues that affect our daily life. 'Is there any knowledge in the world which is so certain that no reasonable man could doubt it?' Philosophy is the attempt to answer such ultimate questions, not carelessly and dogmatically, as we might deal with them in ordinary life, but critically, after analysing how and why the questions arise and clarifying the assumptions and concepts on which they are based. This classic work, first published in 1912, has never been supplanted as an approachable introduction to the theory of philosophical enquiry. 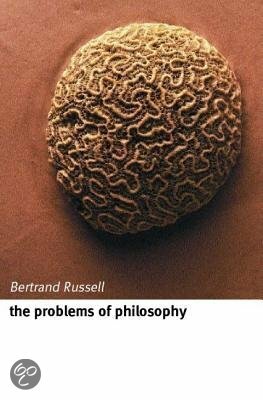 It gives Russell's views on such subjects as the distinction between appearance and reality, the existence and nature of matter, idealism, knowledge by acquaintance and by description, induction, and the limits and value of philosophical knowledge. This edition includes an introduction by John Skorupski contextualizing Russell's work, and a guide to further reading. Originally published in 1917, this early work by Bertrand Russell still offers much thought-provoking material on the subject of political philosophy. Russell criticizes both capitalism and socialism based on his strong conviction that everything of value comes ultimately from the individual. The only true aim of politics, he says, is to give free play, as far as possible, to every person's natural creativity. This means that political systems should be designed to curb the deadening forces of acquisition, power, and convention, all of which tend to stifle individual creative impulses. 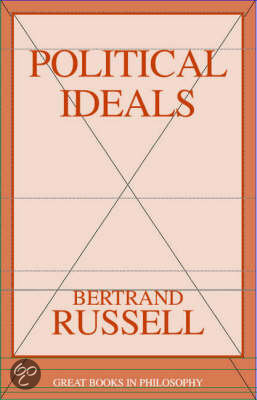 Russell names four main goals that an ideal political system should accomplish: the greatest possible production of goods and technical progress; securing distributive justice; ensuring security against destitution; and, most importantly, the liberation of creative impulses and the limiting of possessive impulses. While capitalism efficiently accomplishes the first goal--producing goods and fostering technological innovation--it does little to guarantee the remaining goals. On the other hand, socialism offers little incentive to creativity and is notoriously inefficient in the production of goods and in technological progress, even though it goes a long way toward ensuring equitable distribution of wealth and eliminating the specter of destitution. But individual liberty is subordinated to the demands of the state. Russell suggests that in an ideal system there would be autonomy within each politically important group and the principle of employee-ownership and self-governance within businesses would be the norm. Government would serve only as a neutral authority to decide questions between the variousself-governing groups. 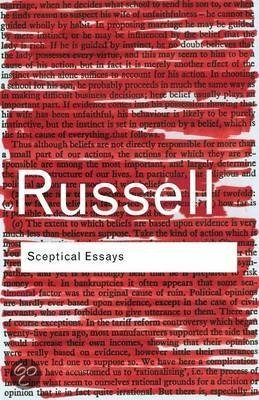 Vintage Russell, this collection of concise essays should be on the bookshelf of everyone interested in political science or the relation of the individual to society. Ben ik een atheïst, of ben ik een agnost?